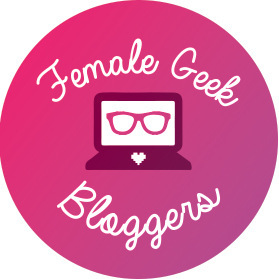 If you’re participating in The Nerdy Girlie’s 5 Fandom Friday, you may have noticed a few of us have made some DLC’s to compliment the already lengthy blog prompt list courtesy of The Nerdy Girlie and Super Space Chick. Darling Stewie created her own Stewie Pack DLC. Without further ado, I present my first DLC for 5 Fandom Friday: the GG Pack (the Geeky Gal Pack). Fandom Playlist: What would your favorite character listen to? Please feel free to make your own DLC and post your link in the comments!